Search engine rankings are difficult to change. And the search engine big daddies (read: Google, Bing, and Yahoo) want to keep it this way. Relevant search placement is a figurative holy grail in the world of web visibility. Why do they make it so hard to advance up the ranks? Well they don’t. Not exactly. It’s not necessarily that these big search providers purposefully obscure their methods (not that they are laid bare for the world to see, either) but it’s truly because of the monumental size of their task. These search engines work by sending web page crawlers (also called robots or spiders) out to comb through any and all web content they can find, including giant websites with thousands of pages, over to small multi-page small business sites, and finally down to one or two page cutesy sites, for example, your neighbor’s blog about their cat. In the midst of all this data analysis is you. How can your WordPress or Magento site increase in rank compared to your competitors, knowing that you have all this data to compete with? Clearly your page content needs to use keywords that describe your product appropriately, URLs that actually make sense when you read them aloud, and a unique meta description that clearly outlines what content is on a certain page. Today we will focus a little more directly on some techniques that sometimes get overlooked: creating the webpage content itself. Search engines are wise to the tricks of yesteryear for ranking improvements. Gone are the days of spamming keywords and mass directory submissions. Today’s content has to speak for itself. It has to stand apart from the crowd by being the best content it can be. This is where we break away from things like keyword analysis and site structure, and get back to basics with ideas you might be more accustomed to hearing in creative writing class than on a web optimization recommendation. You want to treat your readers as human beings, not targets. Your approach to your writing should reflect this. Write they way you would speak. Avoid jargon, cliches and distracting slang. Keep it simple. When you’ve outlined your topic and engaged the reader, then you can get to the technical or more advanced topics you might need to address. And it doesn’t hurt to look around at other articles before you start writing, to get an idea of what you think is good or useful content from other sites. This will spark some of your own creativity to write content that speaks to you as much as it would to your potential audience. Search engines love originality. 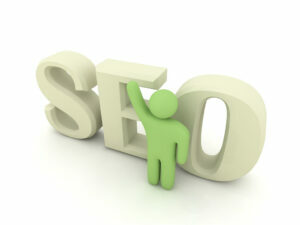 In fact, most search engines complain loudly if there is content on your site they deem is a duplicate page. Search engines are always refining their algorithms to value actual content more than keyword content (although keywords should still be utilized.) Reading other blogs will help you figure out how your copy can stand out from theirs. Yes, you do need to worry about keywords. But you can sprinkle them into your quality writing, not forcefully shove them in every sentence. Make them relevant to the topic at hand. And when you have accompanying images, be sure to use them in the alt text of the image tag. Search engines love when images and content are both significant. Treat the images themselves as visual keywords so that they are supporting your text and your SEO rank. Using these creative techniques, in addition to the no-brainer types of SEO optimization and social networking strategies, will improve your organic search results in a holistic fashion. Harness the power of cross-linking to other content on your site, enriching your content ecosystem while engaging your visitors. Strong content stands out from the crowd, so it’s in your best interest to not treat it like an afterthought. And in your next email blast, consider pointing to your well crafted blog content as opposed to a promotional page or a form. Your visitors will consider you a source of information, rather than just part of the rabble. Treat your visitors like they deserve your quality content, and they will treat your website like you deserve their business.